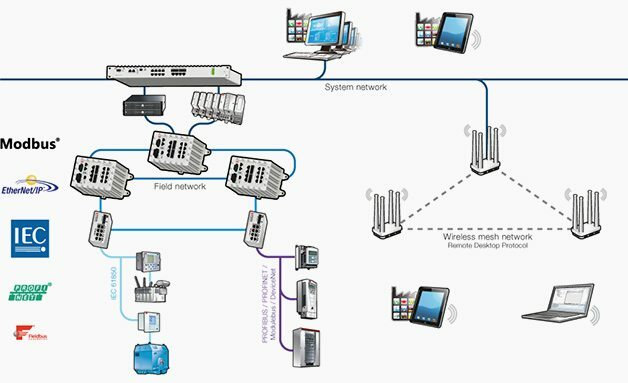 SCADA (Supervisory control and data acquisition) systems are highly distributed systems used to control geographically dispersed assets, often scattered over thousands of square kilometers, where centralized data acquisition and control are critical to system operation. They are used in distribution systems // such as water distribution and wastewater collection systems, oil and natural gas pipelines, electrical power grids, and railway transportation systems. 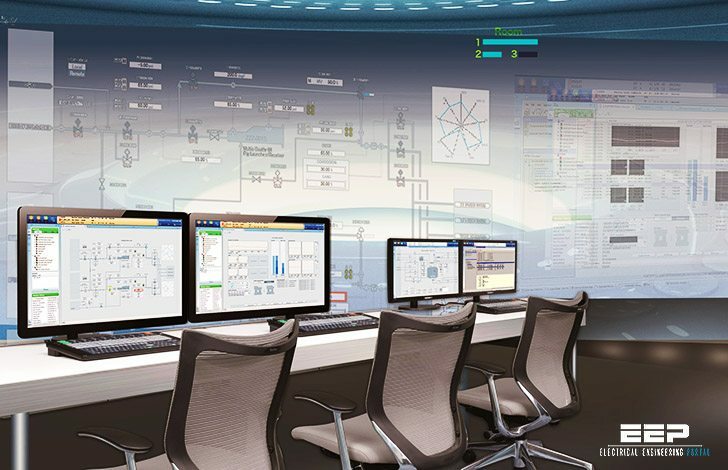 A SCADA control center performs centralized monitoring and control for field sites over long-distance communications networks, including monitoring alarms and processing status data. Based on information received from remote stations, automated or operator-driven supervisory commands can be pushed to remote station control devices, which are often referred to as field devices. Field devices control local operations such as opening and closing valves and breakers, collecting data from sensor systems, and monitoring the local environment for alarm conditions. DCS (Distributed control systems) are used to control industrial processes such as electric power generation, oil refineries, water and wastewater treatment, and chemical, food, and automotive production. DCS are integrated as a control architecture containing a supervisory level of control overseeing multiple, integrated sub-systems that are responsible for controlling the details of a localized process. Product and process control are usually achieved by deploying feed back or feed forward control loops whereby key product and/or process conditions are automatically maintained around a desired set point. To accomplish the desired product and/or process tolerance around a specified set point, specific PLCs are employed in the field and proportional, integral, and/or derivative settings on the PLC are tuned to provide the desired tolerance as well as the rate of self-correction during process upsets. DCS are used extensively in process-based industries. PLCs are computer-based solid-state devices that control industrial equipment and processes. While PLCs are control system components used throughout SCADA and DCS systems, they are often the primary components in smaller control system configurations used to provide operational control of discrete processes such as automobile assembly lines and power plant soot blower controls. PLCs are used extensively in almost all industrial processes. Very useful article…………If anybody has article about Energy Saving,energy audit please mail me…..